When you are just starting to learn about organic farming, there is one important factor you must take into consideration and that is testing the soil for its pH level and the number of different nutrients it contains. 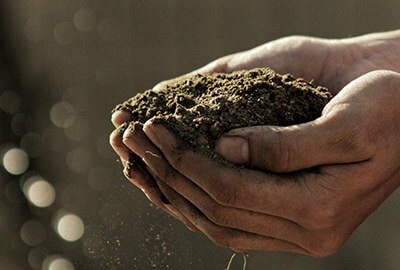 There are a lot of professional soil testing services out there. You can go to your local environment agency and ask for a soil testing. Some nongovernment organizations do this for free in the hopes that more farmers will realize the importance of organic farming for one’s community. There are also soil testing kits available in hardware and farming supplies stores. You can make use of these and have your results in under a minute. But if you want a more detailed report about the health of your soil, you need to pay for a professional soil testing service. Your local Cooperative Extension Service office may offer a professional soil testing service. The advantage of using your local municipality’s service is its low cost and the results that are specifically geared to your location. If this kind of service is not available in your locality, you can also have your soil tested by an independent laboratory. If possible, always choose one that is in your own region or county. This makes it easier for the lab guys to get samples of your soil and to provide you with the proper result and recommendations that are designed to your locality’s needs and demands. Soil test results usually define the rate levels of soil pH, phosphorus, potassium, magnesium, calcium, and sometimes, nitrogen (though most labs don’t test for nitrogen because it is unstable in the soil). There are also labs that offer to test for other micronutrients such as boron, zinc, and manganese. But unless you feel that your soil may have a deficiency problem that could affect the growth of your crops and plants, you probably won’t need micronutrient testing. For preventive measure, you can also apply organic fertilizers such as greensand and kelp meal that include micronutrients. The test result will include recommendations about what can possibly be done for your soil to make it healthier for organic farming. These recommendations are customized according to the crops and vegetation that you need to grow on your farm. To get the most accurate test results, take a soil sample from each garden lawn area: lawn, flower garden, and vegetable garden. The best seasons to perform a soil test are spring and fall.